Over the last 20 years, the Bank of Japan (BOJ) has come up with a series of unconventional monetary policy measures to fight against the country’s prolonged deflation. These include the Zero Interest Rate Policy in 1999, the Quantitative Easing (QE) policy in 2001 to increase money supply to financial markets, the Quantitative and Qualitative Monetary Easing (QQE) policy in 2013 that doubled the monetary base, and the Negative Interest Rate Policy (NIRP) in 2016. The latest move was to upgrade the QQE and NIRP with the introduction of the QQE with Yield Curve Control (YCC) in late 2016, which is targeted not only at maintaining the short-term policy rate at -0.1 percent but also to maintain 10-year JGB interest rates at around 0 percent. These innovative policy measures have earned the BOJ the reputation as one of the most pioneering central banks in the world. Let’s take a closer look into the effectiveness of the latest innovative measure, the QQE with YCC, in supporting stronger growth and achieving higher inflation. In our latest 2018 Annual Consultation Report on Japan, we evaluated the overall effects of the ‘QQE with YCC’ policy on the economy by looking at three key transmission channels, namely interest rate, exchange rate, and expectations. The policy has been relatively effective in lowering financing costs for corporates and households by maintaining very low interest rates in both the short- and long-term. Even though corporate and household borrowings increased only moderately, the low interest rates stimulated domestic demand and supported growth. In addition, easy monetary policy has resulted in a weaker Japanese yen (JPY), which has helped to improve Japanese firms’ earnings in yen when they repatriate profits from their overseas business. The interest rate differential between the U.S. and Japan, reflecting the state of the two economies, could be one of the major factors behind the depreciation of JPY. Despite not being directly targeted by the ‘QQE with YCC’ policy, JPY depreciation have helped to improve corporate earnings and support the stock markets, which in turn have lifted business sentiments and provided a boost to spending. However, consumer price inflation and inflation expectations have remained subdued despite the BOJ’s commitment to achieving its inflation target rate of 2 percent. Although short-term inflation expectations have persistently exceeded the actual level since 2010, followed by a sharp pick-up in the long-term expectations at the onset of the QQE policy in 2013, inflation expectations have stayed largely at around 1 percent, falling far short of the BOJ’s inflation target. The unintended adverse side-effects of prolonged easy monetary policy is primarily visible in the financial and asset markets and among financial companies. First, despite recent improvements, financial markets have been adversely affected by the BOJ’s active JGB purchases. The BOJ’s massive purchase of JGBs following the implementation of QQE in 2013 has reduced liquidity in the JGB market. The BOJ’s continued purchases of exchange-traded funds (ETF) in the stock market may have helped to prop up stock prices even when market sentiments worsened. However, that may have impaired the price discovery function of the stock market and undermined its efficiency in allocating financial savings. Second, financial institutions suffer from declining core profitability with the tighter interest margins. Although the ‘QQE with YCC’ policy has encouraged financial institutions to increase lending, a secular decline in the loan-to-deposit ratio as well as interest margins, has reduced the net interest incomes of financial institutions. Third, financial imbalances may have been building up in some asset markets. Since the launch of QQE policy in 2013, the real estate loan-to-GDP ratio has grown rapidly, going above the long-term trend. Moreover, the stock markets have benefited from high corporate earnings and BOJ’s massive ETF purchase. In 2018, although the price-to-earnings ratio of the stock market was slightly lower than its historical average, the Tokyo stock price index remained higher than its long-term trend. Given some signs of overheating in the real estate and stock markets, a sharp correction in these asset markets may undermine confidence and lead to financial instability, although the likelihood of this happening remains low. Despite the BOJ’s strong commitment, achieving its 2-percent inflation target appears like a distant goal. 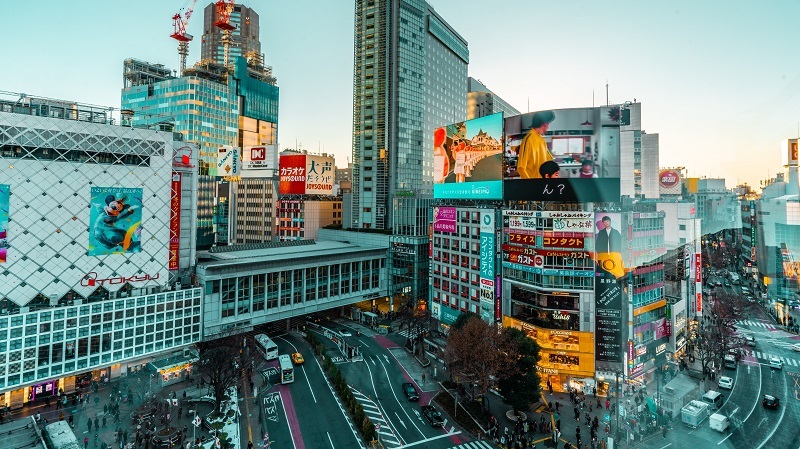 However, there are preliminary indications that Japan’s actual inflation may have begun to respond to long-term inflation expectations to some degree. This highlights the importance of the BOJ’s effective management of long-term inflation expectations, while suggesting the need to pay closer attention to investigating the interaction between inflation expectations and Japan’s aging population from a longer-term perspective. Considering all the factors above, monetary policy should continue to be reviewed and recalibrated to address issues concerning the achievability of the targeted inflation rate, and adverse side-effects such as the impact on the profitability of financial institutions and the functioning of financial markets. The current mix of monetary and fiscal policies needs periodic review and recalibration in order to revitalize the economy while securing longer-term policy sustainability. This important task falls on the seasoned and enterprising BOJ to come up with bold and innovative solutions to tackle Japan’s macroeconomic challenges.